Barclay & Clegg have a variety of comfortable and feminine hosiery and stockings, suspender belts and lace hold ups. Our hosiery range is designed for all occasions in a range of colours, ideal for all sizes. Hold ups are a thigh high garment that are held up by silicone strips that feature at the top. Highly comfortable and elegant, hold ups are available at Barclay & Clegg in a variety of styles and colours. Luxurious and durable, hold ups are reliable and a great alternative to tights. 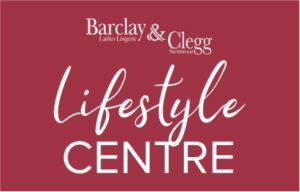 Barclay & Clegg stock a wide variety of tights, all providing a luxurious and desirable comfort for all occasions. Made from high quality soft materials, tights are subtle and delightfully flattering. Tights are available in a variety styles and colours. A wide range of our lingerie sets provide exclusive suspender belts that complement all stockings perfectly, for the complete underwear ensemble. Barclay & Clegg offers a variety of feminine and desirable stockings, ideal for all sizes and occasions.